Sally Clark may be an Olympic silver medallist but this season she’s nailed her first Dunstan Horsefeeds and Equifibre Pro-Am Rider Series. Sally says she doesn’t go out to chase the series, but they do compete at a lot of shows and it has been a good season for them, however, Sally has been unknowingly carrying a fractured humerus after a fall in early January at her local show. She’ll be seeing a specialist shortly. Victoria’s Secret is not a big horse, but what she lacks in size she makes up in heart. Her mother Dilly Dally, who is by Distelfink, showjumped to 1.3m and her sire is the thoroughbred Hey Baba Riba, who is by Sir Tristram. 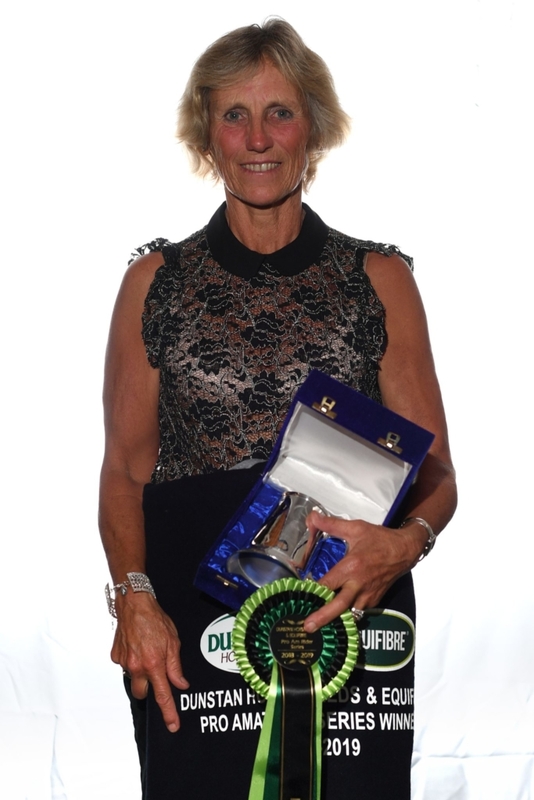 Sally now has her eye on competing in mini prix next season and would dearly love to win another HOY title. 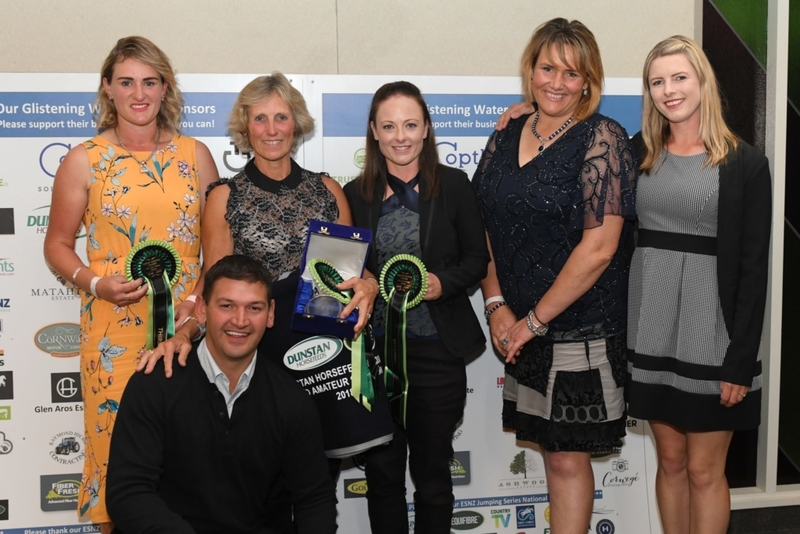 The win was Sally’s second showjumping series win but it has been a long time between drinks – her last was the five-year-old aboard Zibbibo in the mid-2000s. Finishing second to Sally in the series, just two points back, was Lauren Buckley (Queenstown) and her bred to race Icey Storm. She and husband Chris made the long trek north for their debut competition on this side of the strait. In the grand final just six of the initial 14 starters came back for the jump-off. 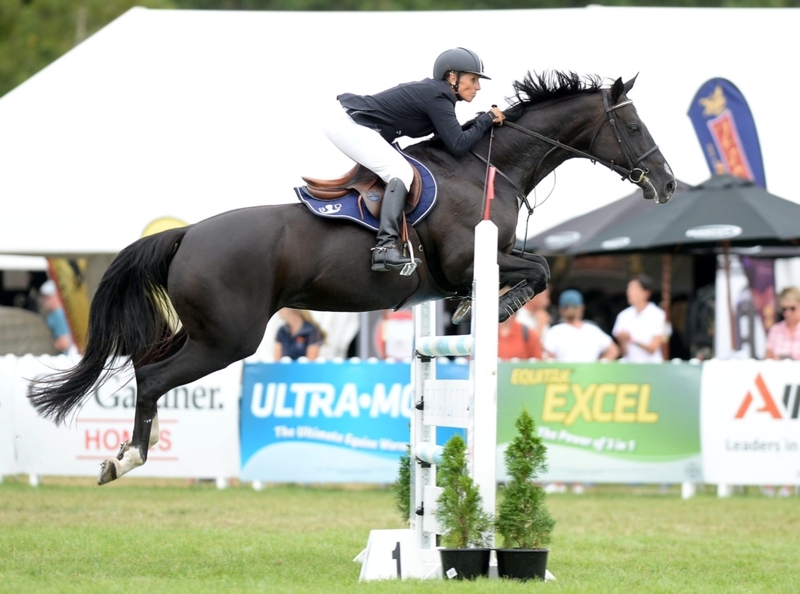 Double clears came from class winner Amanda Illston (Masterton) and Iguazu and Lucia Voss (Kawerau) on Ngahiwi Para. The gutsy story of the day has to go to fourth place-getter Christine Cornege (Cambridge) who was warming up for the jump-off aboard her homebred Varekai SL when the two hit the ground. The horse broke his bridle, sprang to his feet, took off and jumped a full wire en route to the yards. Her friends rallied round and very quickly Christine – complete with some extra mud on her jacket and jodhpurs – came back into the ring to ride a brilliant round for just four faults.